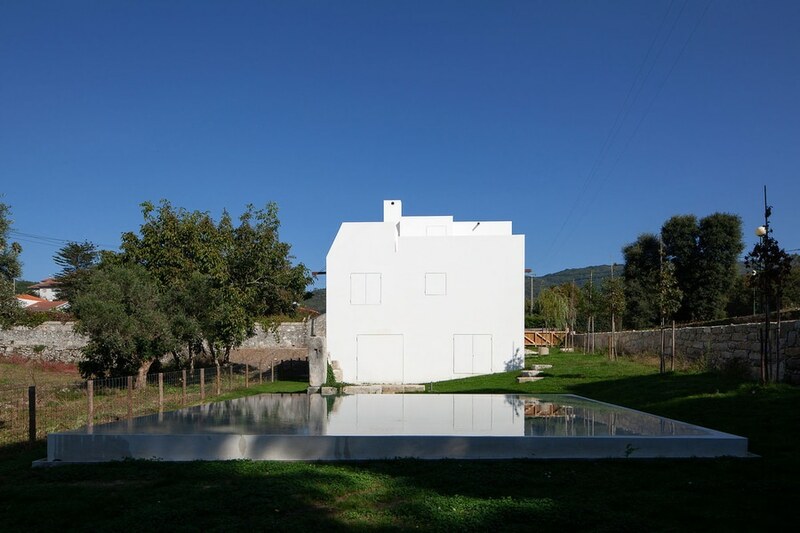 Projects> RESIDENTIAL ARCHITECTURE PROJECTS > Houses > Guilherme Machado Vaz designs geometric white house as "abstract sculpture"
The white house is modelled on the "regular and compact" houses that are dotted throughout the rural parish in the north of the country. 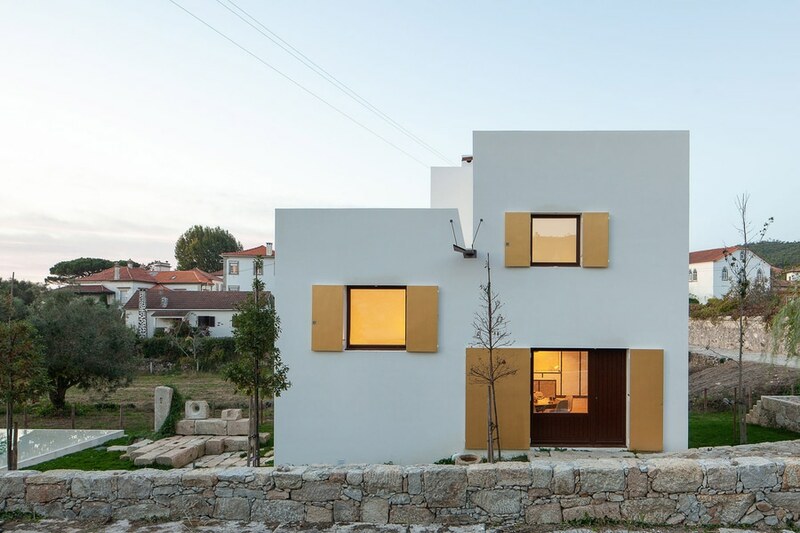 However, to prevent it from being dominated by an adjacent chapel, Machado Vaz added shutters to its exterior, which can conceal the windows and transform it into an "abstract sculpture". "The chapel stands on a base of granite walls, and it imposes itself in that area. 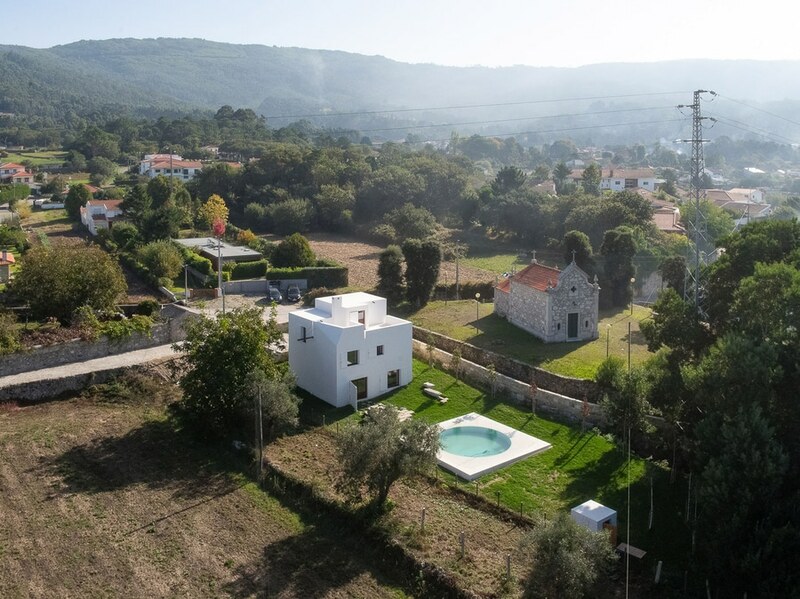 Its presence had an influence on the project, particularly as regards the design of the volume," explained the Portuguese architect. "The house sought not to disturb the harmony of this religious space, but at the same time it did not want to be submissive to its presence." 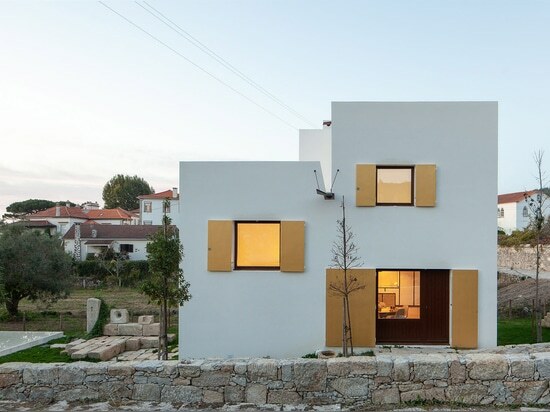 Opening the shutters forms an entirely different facade for the house, revealing large windows with dark wooden frames. On the south elevation, the shutters are painted gold to echo religious triptych paintings – a type of artwork divided into three carved panels that are hinged together. The interiors of the house are split over a series of half floors, inspired by Austrian and Czech architect Adolf Loos' Raumplan concept. 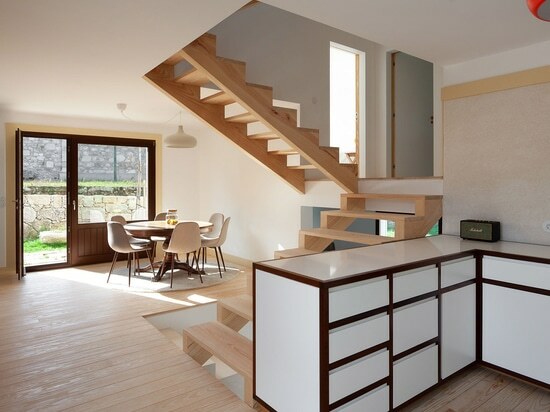 Developed in the 1920s, the concept offers an alternative to traditional stacked floor levels, by dividing a house's interior into interconnected multi-level spaces arranged on the basis of their importance. An open-plan living and kitchen area is positioned on the ground floor levels of the house, which lead up to three bedrooms on the first floor. The basement level comprises the house's storage and technical equipment, alongside a Turkish bath and changing room. 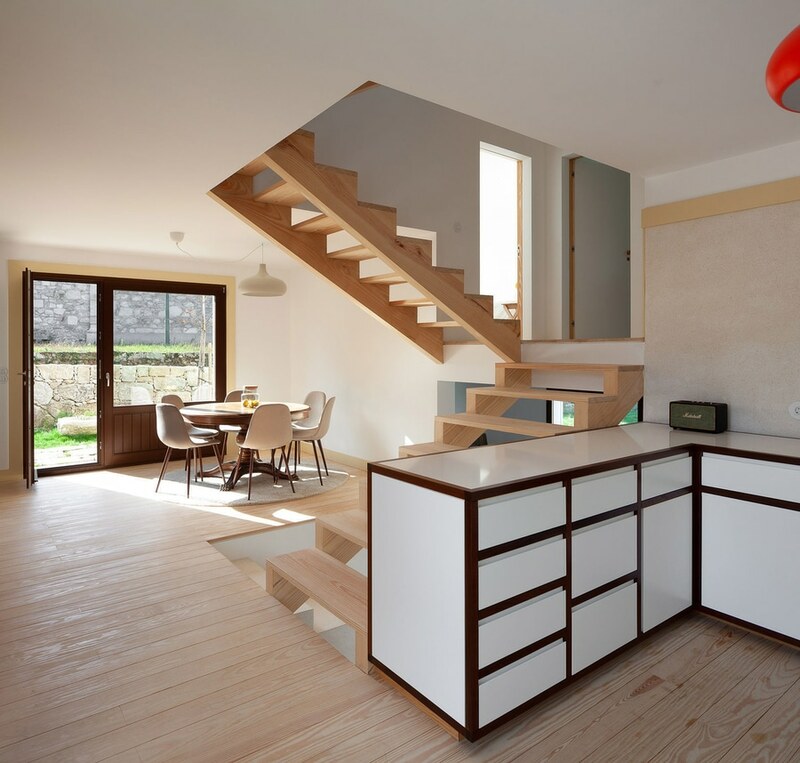 All the levels are connected by a minimal wooden staircase that sits central to the house, and has open treads to resemble a ladder. It is designed to reduce the house's circulation as far as possible, and maximise open space. Complementing the exterior of the house, the interiors are complete with a bright, pared-back colour palette. White walls and minimal furniture are teamed with terrazzo floors and brass detailing on the ground floor, while wooden detailing dominates the upper storeys. 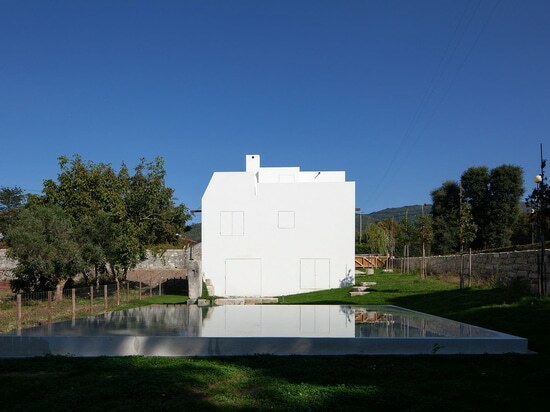 The house is topped by a flat roof that doubles as a terrace, and complete with a circular swimming pool in the garden that is framed by a square plinth. 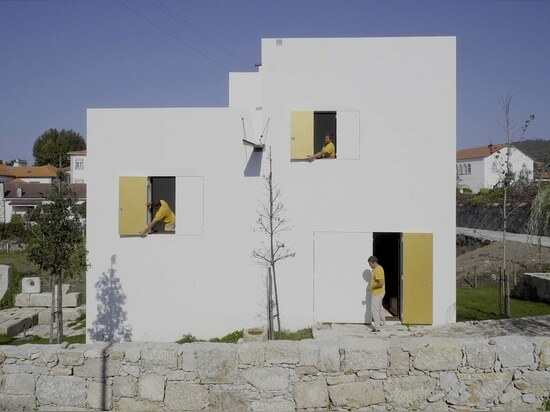 After completion, Machado Vaz collaborated with Building Pictures to create a short film about the house. 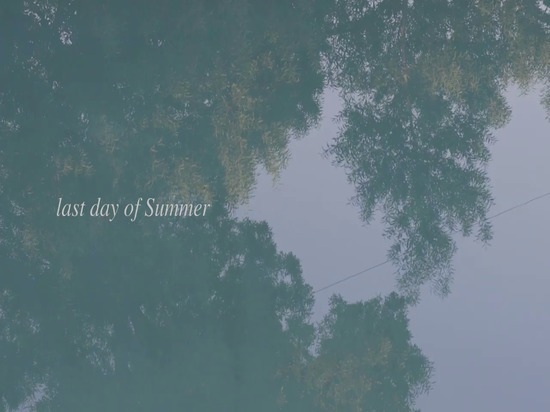 Titled Somewhere in Afife, it follows a family spending the "last day of summer" at the house. 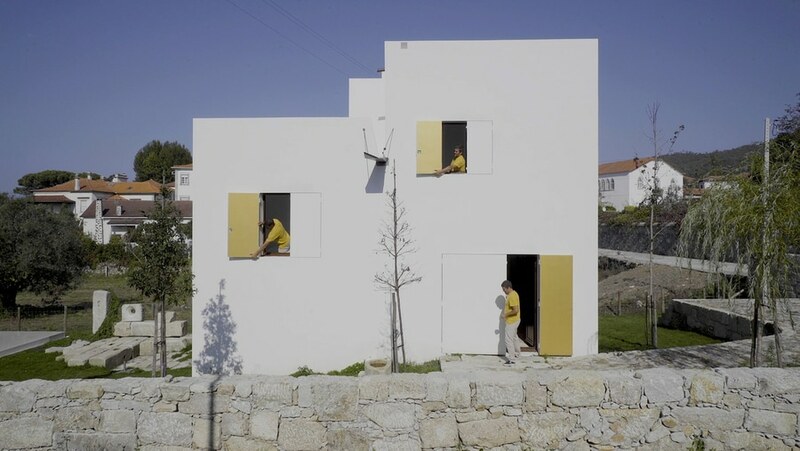 The film ends with night shots of the building, revealing the illuminated interiors reflecting in the pool.Pablo Pita also recently completed a minimal geometric house in Portugal. Its internal spaces are predominantly open plan, with a lack of partition walls to ensure views throughout the living areas.